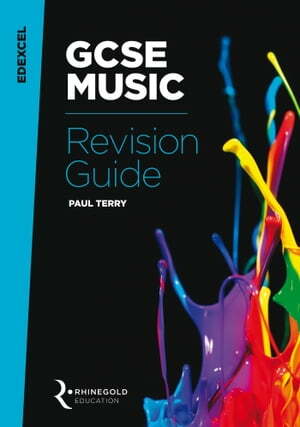 Collins Booksellers - Edexcel GCSE Music Revision Guide by Paul Terry, 9781783238798. Buy this book online. The Edexcel GCSE Music Study Guide presents all of the key information you will need to know for the written exam (Component 3) of the 9-1 specification For exams First teaching 2018 onwards. It includes the most important facts about each of the eight set works, a test on each set work, tips on how to prepare for the exam, a guide to the elements of music, to help you prepare for the questions on ‘unfamiliar’ works, and a glossary of the technical terms you will need to learn. A definitive study guide for the 91 GCSE syllabus, this comprehensive guide supports all components of the GCSE: Performing, Composing and Appraising. This title also covers the full list of Set Works and suggested Wider Listening, provides tests and practice exam questions and includes advice and tips on how to do well in the written paper.